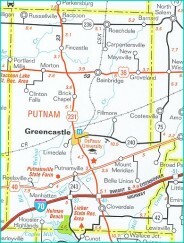 The Greencastle/Putnam County Development Center is a not for profit corporation that is supported by individuals, businesses, and institutions in the community. Complimenting this financial support are contracts for services with the City of Greencastle and Putnam County. As an Internal Revenue Code Section 501(c)(3) organization, contributions made to the Development Center may be considered a charitable contribution and generally are tax deductible under the Internal Revenue Code. Please consult your tax advisor for more information. The Development Center also benefits from a wide range of in-kind contributions of services, wisdom, and expertise. In-kind contributions contribute significantly to the success of the organization and the community.